Bed Bugs: a topic that conjures up an idea of filth or lack of care for most. However, bed bug infestations are just as likely to be found in a 5 star hotel as they are to be found in a less than stellar environment. The stigma attached to having bed bugs is one that has persisted for far too long. Given bed bugs have been found across the world and in every state in North America, it’s safe to say, more people than not have encountered them one way or another. Whether it be a hotel stay, a family member or friend dealing with an infestation, schools, or a local news story about public transportation or local government buildings experiencing problems, they’re more common than most would think. Philadelphia has been named a top ten city in dealing with the issue, yet they’re rarely discussed openly. They’re shrouded with shame and guilt and most of our customers express reluctance to come forward or discuss the issue with anyone, even family members or friends. This presents a multitude of problems. For instance, by nature, bed bugs are hitchhikers, meaning, they must’ve been introduced somehow. Lack of discussion likely increases the possibility of reintroduction, especially if a neighboring property, family member or friend is dealing with them unbeknownst to you. Additionally, misinformation often lead to customers employing self-treatment methods which may make the infestation for challenging to tackle in the long run. For instance, bombs, foggers, and over the counter sprays are often contraindicated (NEED SOURCE). Further, throwing away furniture under the presumption that this will rid your home of bed bugs is often ineffective and adds to the cost of treatment as these pieces will need to be replaced and may become re-infested unless the home has been treated properly. Professional treatment can be expensive, but the cost of discarding and replacing furniture, laundering all of your linens and clothing, and sacrificing time and energy for multiple treatments far outweighs the cost of an effective and efficient treatment, such as heat treatment. 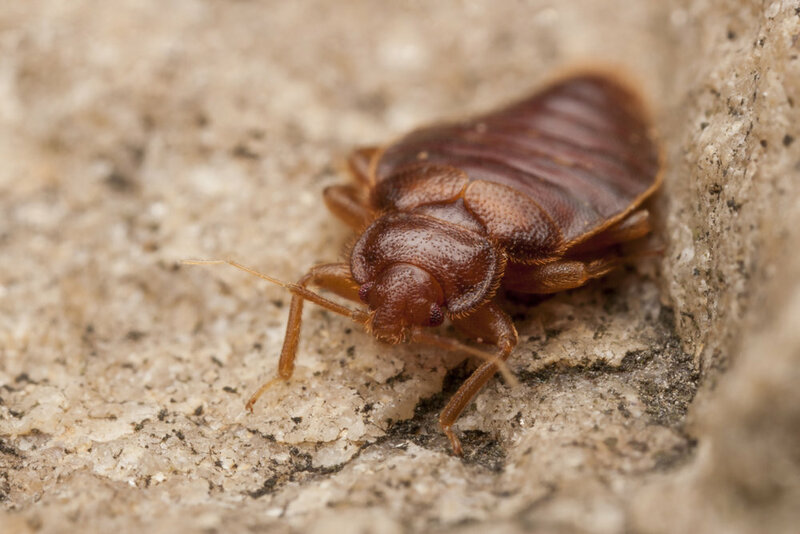 Heat treatment is a one day process, whereby the entire dwelling is heated to a temperature known to kill all stages of the bed bug life cycle. The preparation required differs from traditional methods of service in that there is rarely the need to discard furniture, mattresses, boxsprings or wash/dry and bag any of your clothing. It’s dry hot air and effective at eradicating the issue. Discussing bed bugs should be as common as chatting about the weather. There is no shame in dealing with bed bugs. It’s truly an issue of probability as to who gets them. Bed bugs like to be where people are in order to feed. Airports, hotels, buildings, etc where there are large populations of people and their belongings will always have an increased risk of bed bugs making an appearance. If we can talk openly about this, instead of shrouding the topic with guilt and shame, we’d have a greater likelihood of solving the issues quickly and efficiently before bed bugs have an opportunity to establish themselves. Contact Prodigy today to get rid of your pest problem and finally get peace of mind.